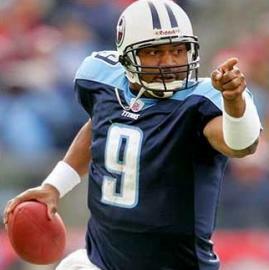 February 14, 1973 Steve LaTreal McNair, former football quarterback, was born in Mount Olive, Mississippi. McNair played college football at Alcorn State from 1992 to 1994 and in 1994 won the Walter Payton Award as the top player in NCAA Division I-AA. McNair was selected by the Houston Oilers in the 1995 NFL Draft and over his 13 professional seasons was a three-time Pro Bowl selection and in 2003 was the co-Most Valuable Player in the league. McNair retired in April, 2008 and died on July 4, 2009.